is a vocal/instrumental piece composed for two vocal soloists, percussions, mixed choir and string ensemble during the period between 2009-2010 by Aleksandar Kostić. This composition had a world premiere in Covent Garden, London in March 2010. Inspired by and composed on the text of the old testament poem by the same title written by King Solomon more than two thousand years ago, the composer conceived this work to be performed in five old languages, which are: Hebrew, Old Greek, Latin, Old Slavic and Old English. With this multi-lingual performance the composer wants to express his desire for not only making a musical, but an overall cultural statement as well. The idea was to overcome any musical restrictions that may occur while only using one translation, for maintaining a certain unrestricted flow of melody as well. And, on the other hand, to have the opportunity to use the quality and richness of these specific languages by transporting them into a certain musical context. By ‚cultural statement‘ it is meant to bring these old languages, that are not spoken today, back into the minds of the listener, and reflect upon the common heritages of different world cultures and traditions, and how they influenced and enriched each other. We feel that, while telling this ancient story about love, the goal of this composition is to celebrate cosmopolitanism by using the universal languages of music and poetry. is the new composition by Aleksandar Kostić, based upon a poem by one of the first German romantics, Novalis (Friedrich von Hardenberg). Partly written in prose and partly as a poem, this philosophical-lyrical work is constantly asking profound questions about the human existence and the world that surrounds us since the beginning of time, between visible and invisible, between day and night. Driven by the love for his late fiancée, Friedrich von Hardenberg embarks on a mystical voyage through night and its scenery. The destination of his nocturnal journey is to be reunited with his love. The diary, he left behind, about this voyage became “Hymns to the Night”. Today this text by Novalis is considered to be the climax of his lyrical work and the most important poetry of Germany’s early romantic period. 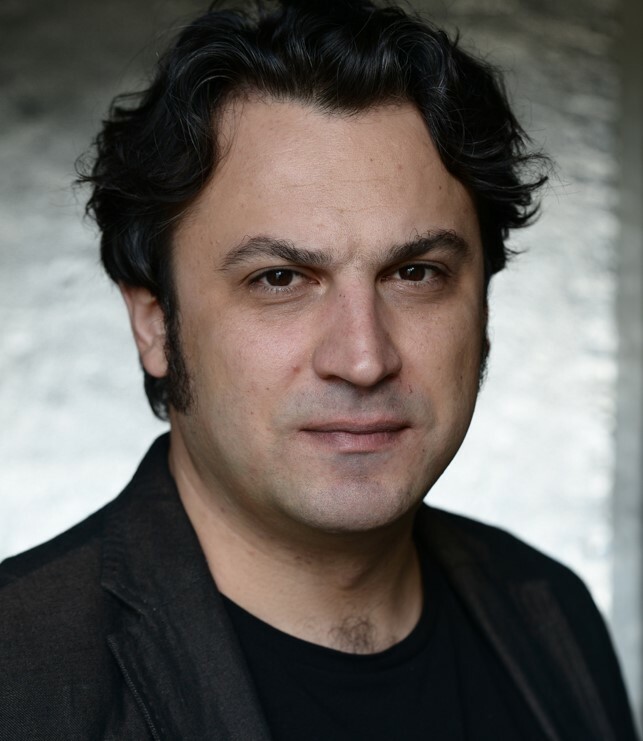 Born 1973 in Belgrade (Serbia), based in Berlin composer Aleksandar Kostić has been involved in music from an early age. His engagement with both classical and contemporary works carries forward influences from European, traditional and spiritual music. Mr. Kostić was developing his compositional skills under guidance and supervision of his mentor and one of the first Serbian female composers D.M.A. Mirjana Sistek Djordjević (1935-2017). First public performance of Kostić’s work was in 1999 when his symphonic suite ‚Deus Absconditus‘ was premiered in Belgrade. Later, this composition was recorded with the Serbian Symphonic Radio Orchestra to be published by Serbian National Record company PGP-RTS, in 2004. His vocal – instrumental, piece ‚Song of Songs‘, composed on the lyrics of the old testament poem by the King Solomon that goes by the same name, had its world premiere in the Actor’s Church (Covent Garden) London in March 2010. American-born, London-based eclectic composer/conductor/performer. Director of London Jazz Orchestra, London’s Eclectic Voices choir, London Philharmonic Orchestra Renga Ensemble. His work ranges from conducting Kurt Weill’s stage works to arranging and conducting for Phil Collins. 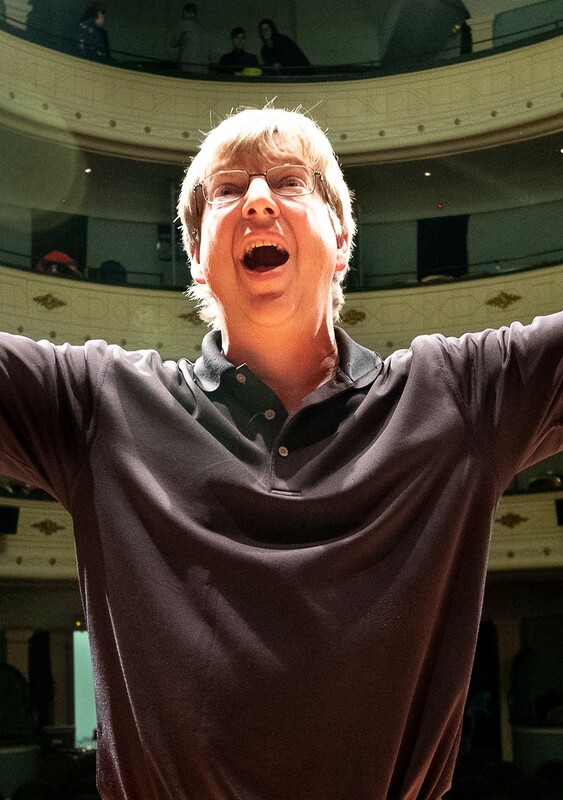 He has directed and presented many combined performance and education series and programs on the music of Bach, Haydn, Dvorak, Stravinsky, Bartok, John Adams, Lutoslawski, Duke Ellington, Gil Evans, gospel music, African music, Brazilian music and that of many other traditions and composers. Scott Stroman performed with some of the greats in jazz and world music including Dizzy Gillespie, Kenny Wheeler, Youssou N’Dour, Herbie Hancock and Billy Cobham. Professor at Guildhall School of Music and Drama. Began her musical education at the ‚University for art and music‘ in Okinawa and after that moved to Berlin to attend the ‚Hochschule für Musik Hanns Eisler‘. She sang the leading parts in the operas of Pamina up to Mimi, from Donna Elvira up to Micaela, and has worked for many years with different directors and theatres on projects, that expand the genre of conventional opera, Florian Lutz, Hans-Werner Kroesinger, and for many years with Sven Holm and his company ‚Novoflot‘. She has played the roles of Lulu (Lulu, Staatsschauspiel Dresden), Amina (La Sonnambula, Münchener Kammerspiele), Donna Elvira (Don Giovanni, Tokyo Nissey Theatre) and many more. In 2018 she acted as ‚Zerlina‘ under the direction of David Marton, with musical direction by Stefano Montari, at Opera de Lyon. Came to international prominence when she made her debut at the Royal Opera House Covent Garden as the Countess in Massenet’s ‚Chérubin‘, conducted by John Eliot Gardiner. She was immediately re-engaged to sing the roles of L’Amour and La Folie in Rameau’s ‚Platée‘ with the Mark Morris Dance Group and conducted by Nicholas McGegan. Whilst being a member of the Swingle Singers, she met Luciano Berio. She has subsequently performed his music throughout the world. She has recorded ‚Sinfonia‘ for the Decca-Label, with the Concertgebouw-Orchestra and Riccardo Chailly. She has also recorded Lachenmann’s ‚Das Mädchen mit den Schwefelhölzern‘ with Sylvain Cambreling, followed by concert performances in Berlin, Frankfurt and at the Salzburg Festival. She has also given premieres of works by Berio, Bainbridge, Finnissy, Gunning, Holt, Lloyd, Maxwell Davies, Nyman and Osborne, recorded works by Wishart, Bryars, Smalley, Stockhausen and Cage, and made many broadcasts for BBC radio and television. The English mezzo-soprano, Heather Cairncross, trained at the Guildhall School of Music and Drama in London’s Barbican Centre (studying with Laura Sarti) and went straight into Opera. 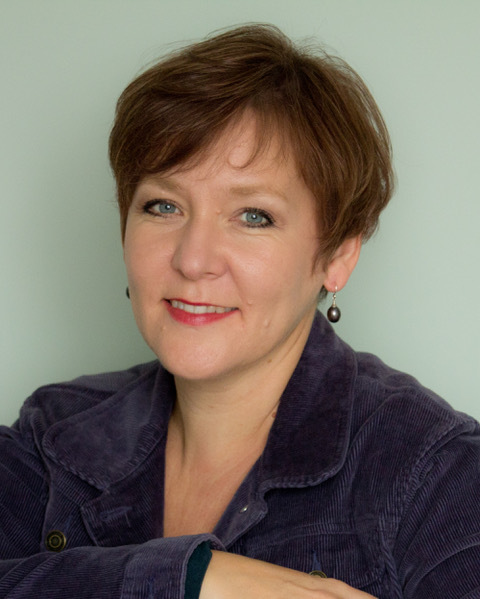 Heather Cairncross has been a professional singer for over twenty-five years now. She has been fortunate enough to work with some of the great musicians of our time in many different genres. She has performed concerts everywhere from La Scala, Milan to Carnegie Hall. In the last few years she has rekindled her love of Baroque music and is regular member of the Monteverdi Choir, with Sir John Eliot Gardiner conducting. With the Monteverdi Choir she has sung the Alto Solos in both George Frideric Handel’s ‚Israel in Egypt‘, J.S. Bach’s ‚B Minor Mass BWV 232‘ and his ‚Advent Cantatas‘, and appeared on the Grammy winning recording of J.S. Bach’s ‚Motets‘, amongst others. 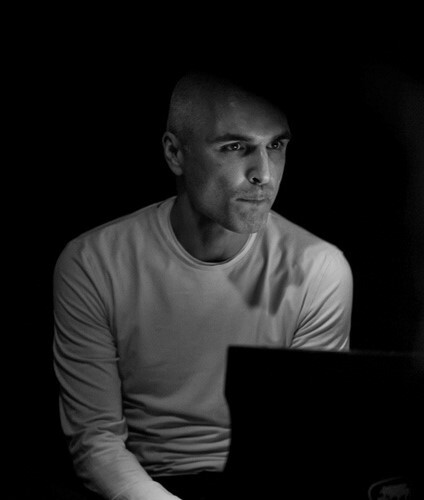 Antonis Anissegos, based in Berlin since 1998, is working as a composer, pianist (interpreter/improviser) and electronic musician (alias ‚unu‘). His current projects are: Trio IAMA, Grix, ΣΩΜΑ, best before unu, ddaA, Card Castle, NPC. Collaboration with the Berliner Ensemble (2018), the Neuköllner Oper (2017), Novoflot (2017) and the theatre ensemble ‚Werkgruppe 2‘ in Braunschweig (2015). Since 2015 a frequent guest of the Ensemble Adapter. Since 2014 a member of Dine Doneff’s ‚Lost Anthropology‘ and Silke Eberhard’s ‚Potsa Lotsa Plus‘. In 2013 performed concerts with Gebhard Ullmann’s ‚Berlin Suite‘ and a Japan Tour with ΣΩΜΑ & Shoji Hano. 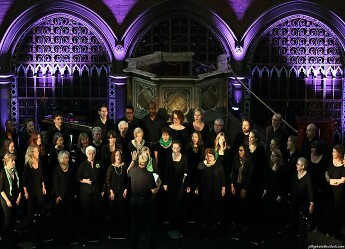 Eclectic Voices is an energetic and exciting choir based in Highbury, North London which thrives on stretching and dynamic musical performances. Now in its 27th year the choir continues to be directed by its inspirational founder, American jazz composer and teacher Scott Stroman. Eclectic Voices sings a wide variety of music, from jazz, gospel and folk to modern and classical repertoire. It has also recorded a number of well-received CD’s. The choir has a strong ethic of commitment and dedication and packs each year with up to eight thrilling performances, many with world class classical or jazz musicians. 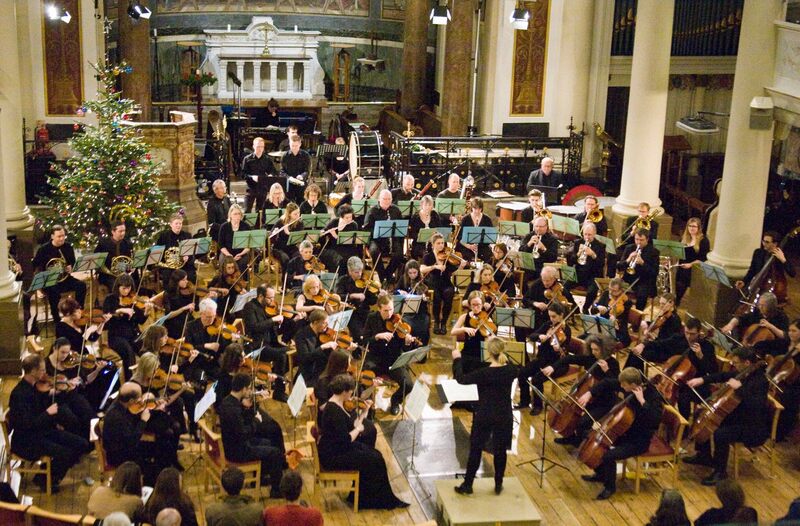 CGCO gives regular concerts in the splendid Victorian church of St Peter’s Notting Hill (90 Kensington Park Road), and also performs in other London venues. These have included St Paul’s Covent Garden (the Actors’ Church), St John’s Smith Square, St James Piccadilly, Southwark Cathedral, St Peter’s Eaton Square and St Jude’s-on-the-Hill, Hampstead. A wide repertoire of both classical and modern music is being performed. Concerts have included the UK première of ‚Iscariot‘ by the American composer Christopher Rouse, ‚Music for Strings, Percussion and Celeste‘ (Bartók), ‚Violin Concerto‘ (Weill), ‚Dumbarton Oaks‘ and ‚Pulcinella Suite‘ (Stravinsky), Cello Concertos by Barber, Korngold, Milhaud and Shostakovich, ‚Rhapsody for Viola and Orchestra‘ (Martinu), ‚Viola Concerto‘ (Walton), ‚Night Music‘ (Colin Matthews) and ‚Symphony No. 7‘ (Robert Simpson).